…educational programmes and activities that focus on promoting equality in human dignity, in conjunction with programmes such as those promoting intercultural learning, participation and empowerment of minorities. ü to further the activities of international institutions aimed at the creation of a culture of peace, based upon universal values of human rights, international understanding, tolerance and nonviolence. 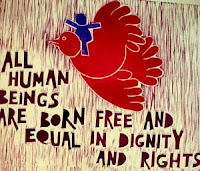 ü to develop children’s confidence in their ability to take action and their skills to defend and promote human rights. Although they are at the beginning of their formal education, children possess a wealth of knowledge about their world and the people in it. 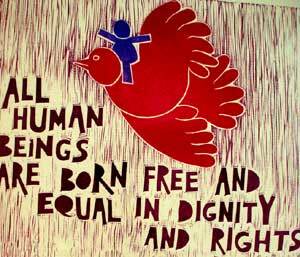 As far as possible, human rights learning should connect with and enlighten what children already know. For example, although they may not use words like justice, equality or discrimination, by the age of seven or eight most children have a strong sense of what is ‘fair’.